Bottomless Pops at Hank's Burgers & beer! â€œBuy any pop with any burger purchase and the pop is bottomless,â€ is all you need to know aboutÂ Hankâ€™s Burgers & Beer, the recently opened American-style burger joint in Paddington that is receiving rave reviews on their burgers. One bite of the Texas burger confirms the positive reviews… Made with a beef patty, American cheese, lettuce, caramelised onion, mayo and smokey BBQ sauce, it definitely pushes Hankâ€™s Burgers & Beer high on my list of Brisbane’s top burger joints. With every burger named after an American state, (Florida and California for the vegeterian contingent, naturally) theÂ U.S. influence is strong and authentic. As well as burgers though, what’s the American experience withoutÂ loaded fries? 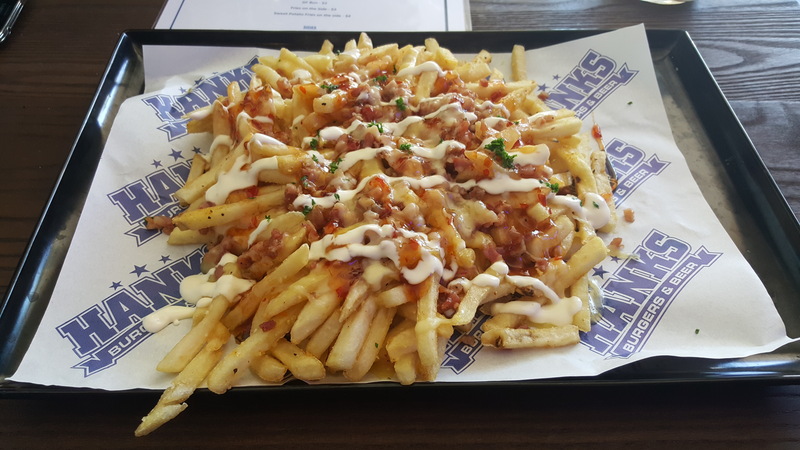 Hankâ€™s Loaded Fries is a colourful vision of flavours; topped with bacon bits, cheese, chilli sauce and sour cream. A must-order if you hit Hankâ€™s bar for drinks with your mates as they make for a great drinking snack. If you happen to be the designated driver or drinking isnâ€™t your thing, $4.50 pops at Hankâ€™s Burgers & Beer come “bottomless” with any burger to keep you hydrated while feasting. 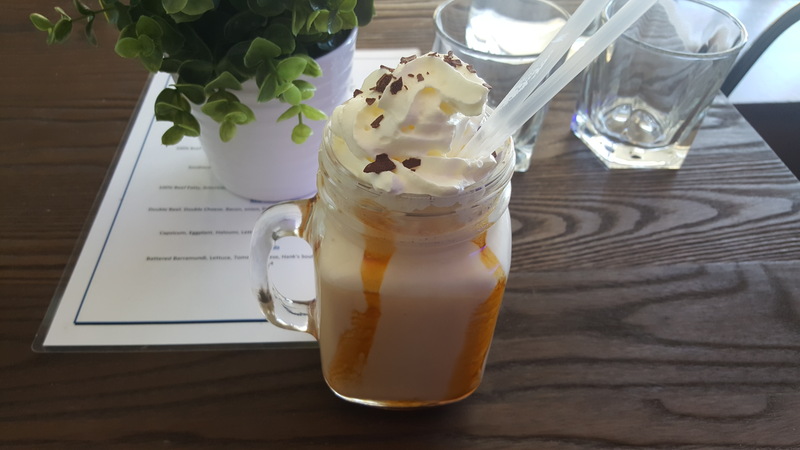 Hankâ€™s Burgers & Beer also have a selection of fluffy shakes including salted caramel, served pretty-as-a-picture covered in cream in a mason jar. If you’re too lazy to pop down in person, Hankâ€™s Burgers & Beer is also available for delivery via Foodora! For the whole experience though, we recommend popping in store, where there’s regular live music to enhance your Americana extravaganza.